Srinagar: An army brigadier, Captain, a Special Operations Group (SOG) man, and a cop got injured during the ongoing gun battle in the ongoing encounter in Pingelana area of South Kashmir. The officials said the army brigadier was stable and was hit by bullets in leg. The police sub inspector is reported to be in critical condition. DIG South Kashmir, Amit Kumar was also critically injured after he was hit by a bullet. The media reported that bullet fired by the militants hit the leg of DIG, adding, he has been removed to 92 base hospital. 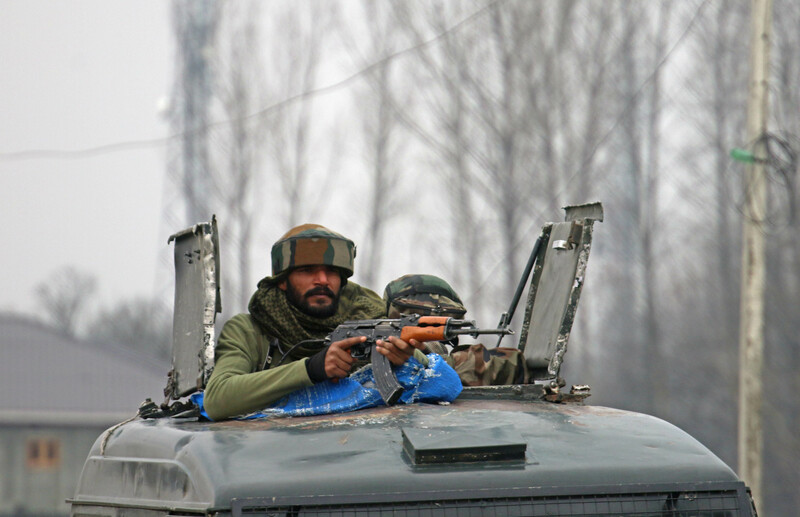 A lieutenant colonel and two other army soldiers were injured in fresh firing in an ongoing encounter. So far, three militants and four soldiers including an officer of Major rank were killed and three other soldiers injured during the initial phase of the firefight. A civilian Mushtaq Ahmad Bhat (46) was also killed during the gunfight. Sources said that there was a lull for some time before fresh firing started in which an army Lieutenant colonel and two soldiers were injured and they were evacuated to army’s 92 base hospital at Badamibagh here.